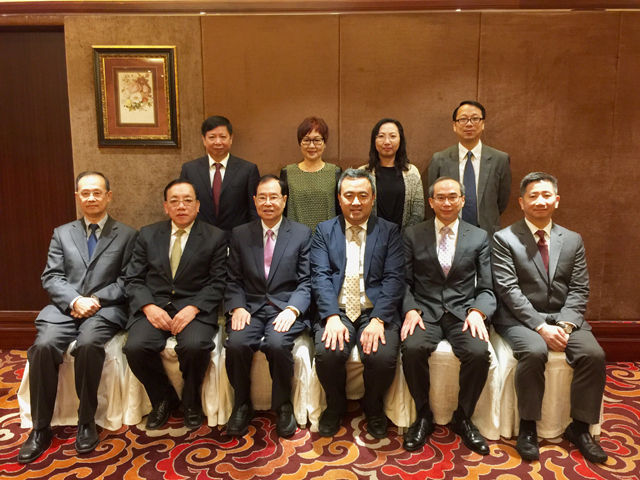 The Hong Kong Q-Mark Council visited the Industrial Association of Macau (IAM) on 6 April 2017. The Chairman Mr. Bernie Ting, the Director-General Mr. Arthur Ho and Senior Manager Mr. Andrew Chang represented Q-Mark Council and had meeting with IAM representatives, which include the President Mr. Chui Yuk Lum, the Chairman Mr. Fong Son Kinm, Vice Chairmen Mr. Lei Si Tai, Mr. Wong Yeuk Lai, Mr. Ian Soi Kun, Ms.Lei Ioi Hang and Ms. Lau Fong Leng. Representatives discussed how to enhance the product, service and environmental standards of HK and Macau companies through Q-Mark schemes and explored collaboration opportunities.